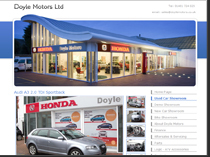 Are you a car, bike or other vehicle trader who needs an online presence? As the internet’s popularity has grown it has become more and more important that small to medium sized businesses have an online presence. Letting your potential customers view your stock from the comfort of their own home gives your company a massive edge over those with no website. With over 600,000 searches for the term ‘used cars for sale’ every month not having a car dealer website means you are effectively missing out on all of these potential customers. DealerWorks is a cheap and easy way to get a professional looking, SEO friendly website created, our website software is designed specifically for car and commercial traders, meaning you don’t need and special skills to use our system. 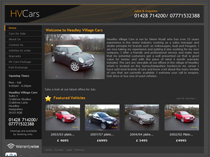 Our website management software allows you to add new stock, edit existing vehicles on your stock list with just a few clicks, you can also add an unlimited amount of photos for each vehicle straight from your digital camera, our powerful software will resize them to ensure they look clean and professional on your website. 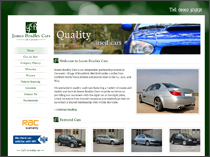 With a 2 week turnaround time, order your car dealer website today and your website will be up and running in just two weeks, we accept payment by credit or debit card, cheque or other methods on request. If you have more specific bespoke needs, contact us online or call 01376 310 510 today to discuss your needs, we can design large complex solutions for customers who require something bigger.